Offering you a complete choice of products which include tassel design 3 piece silver jewelry set, artisan 925 sterling silver jewelry set, 925 sterling silver malachite pendant set, coral and turquoise gemstone silver jewelry set, natural rich coral turquoise 925 sterling silver pendant set and large ruby pearl gemstone silver jewelry set. 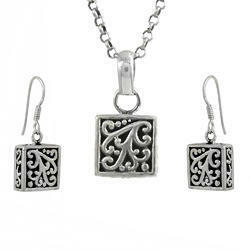 Tassel Design 3 Piece Silver Jewelry Set Special Moment 925 sterling silver jewelry set at wholesale price. 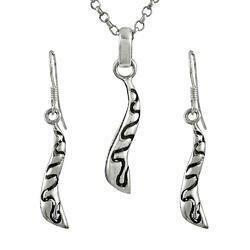 Artisan 925 Sterling Silver Jewelry Set True Emotion 925 sterling silver jewelry set at wholesale price. 2016 Fashion !! 925 Sterling Silver Malachite Pendant earrings Set Royal Style Malachite gemstone 925 sterling silver jewelry set at wholesale price. Minimum Order Quantity will be 12 sets in mix assorted gemstones. Packaging Details: 1.Each piece in poly bag, 50 pieces putted in a bigger poly bag than wrapped in bubbles, suitable quantity put in an export carton. 2. Packing According to Customer's Requirement is also welcome. 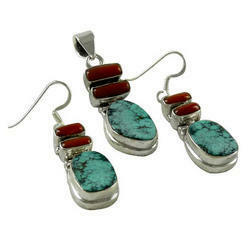 Quality Work Coral Turquoise Gemstone Silver Jewelry Set Beautiful Coral Turquoise gemstone 925 sterling silver jewelry set at wholesale price. Stunning Natural Rich !! 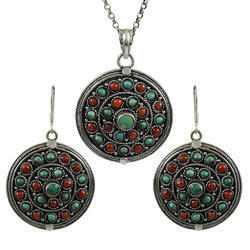 Coral Turquoise 925 Sterling Silver 3 Piece Jewelry Set Big Relief Coral Turquoise gemstone 925 sterling silver jewelry set at wholesale price. Large Ruby, Pearl Gemstone Silver Jewelry Set Royal Ruby, Pearl gemstone 925 sterling silver jewelry set at wholesale price. Big Relief Stone !! 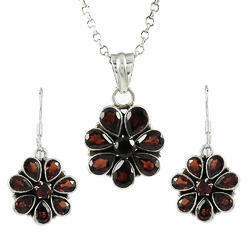 925 Sterling Silver Garnet Pendant earrings sets Set Big Secret Garnet gemstone 925 sterling silver jewelry set at wholesale price. Blooming Garden !! 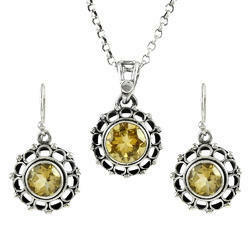 925 Sterling Silver Citrine Pendant earrings sets Set Secret Creation Citrine gemstone 925 sterling silver jewelry set at wholesale price. 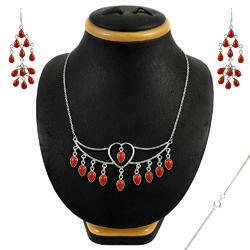 Modern Style handmade Carnelian Gemstone Silver Jewelry 925 sterling silver jewelry set at wholesale price. 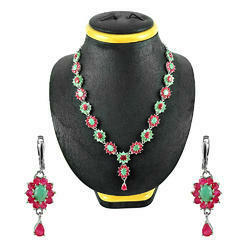 Stunning Natural Rich 925 Sterling Silver Jewellery set with Natural Ruby & Emerald.